KRASNODAR, June 28. /TASS/. The Russian-Belarusian-Serbian drills dubbed Slavic Broterthood-2018 and held at the Rayevsky practice range near Novorossiysk in the southern Krasnodar Region on June 18-28 have been successfully concluded, the press office of Russia’s Defense Ministry said on Thursday. "The drills have been held successfully. The missions assigned to the Russian-Belarusian-Serbian tactical group have been accomplished in full. The command of the contingents of the participating countries, and also military attaches from 42 countries invited as observers to the concluding stage of the maneuvers highly assessed the level of the group’s operations against simulated terrorists," the Defense Ministry spokesman said. During the drills, paratroopers from the three countries practiced special operations to set up and employ a coalition tactical group to accomplish peacekeeping and counter-terror missions. It was reported earlier that the drills practiced eliminating terrorists who had seized border territories and liberating hostages. As the Russian Defense Ministry noted, for the first time ever, the Slavic Brotherhood drills were carried out on a scale of regiment maneuvers that became the largest international military exercises of Russia’s Airborne Forces in 2018. 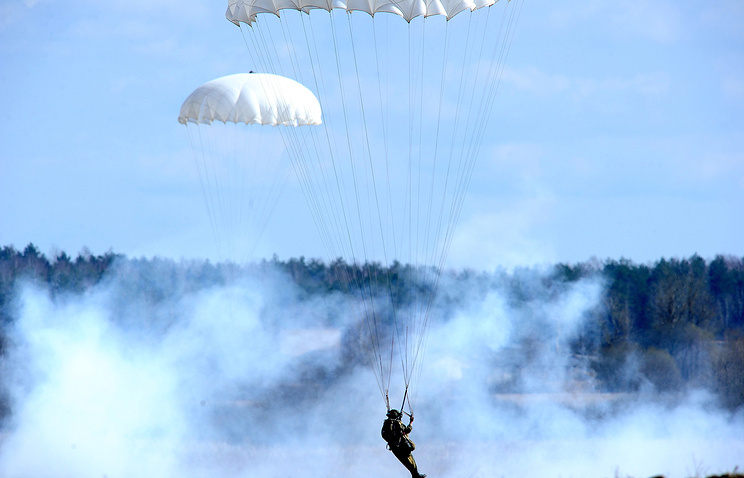 During the drills, Russia was represented by the reinforced battalion of the Kuban Cossack air assault regiment of the Airborne Force (700 paratroopers). Belarus involved over 250 servicemen of the Special Operations Forces while Serbia’s Special Brigade was represented by about 50 paratroopers. Also, Russia’s forces in the drills involved units of frontline and army aviation of the Air Force and Air Defense troops of the Southern Military District and Il-76MD military and transport planes of Russia’s Aerospace Force. For the first time ever, Russia involved the latest military hardware in the drills: BMD-4M airborne assault vehicles, Rakushka air-droppable armored personnel carriers, Rys armored vehicles, T-72B tanks and Infauna electronic warfare vehicles operational in Russia’s Airborne Force, and also Aistyonok radar stations.